“Basically, I’m a NY boy. It’s like my home now. Hong Kong is too small, an island. New York is the center of the world. Everybody comes here. I grew up here, learning most of my art here.” Now age 65, he has taught old and young, movie stars and retired cops, masters who run their own schools and American-born Chinese kids from the suburbs. 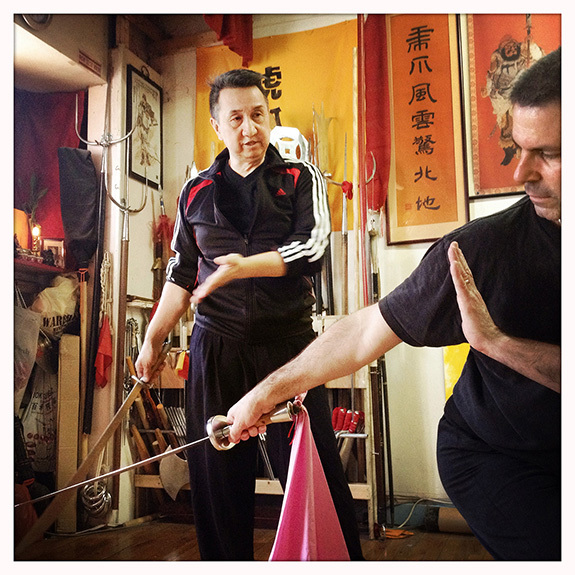 His Kung Fu studio in a walk-up tenement on the Bowery is so narrow that they had to trim off the ends of the weapons used for training – and still have to periodically patch up the holes in the drywall.